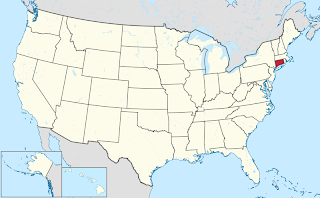 Connecticut is one of the oldest, and smallest of the states within the US. 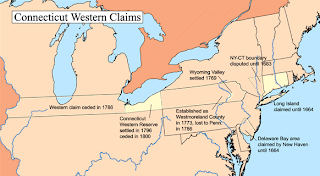 The name "Connecticut" is an Anglicized version of the Algonquian word "quinatucquet," which translates to "upon the long river." The first Europeans to explore was the Dutch, who explored up the river in 1614, and a fort was established up the river, on the site which is present-day Hartford. Very soon after, the English arrived in 1633, with Puritan settlers moving up from Massachusetts to settle in Windsor, with a large block of settlers arriving 3 years later. 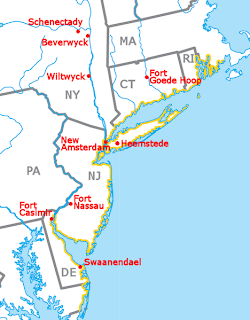 However, borders between English settlements, and the Dutch territory of New Netherlands where not fixed, and the cause of many arguments and skirmishes. These borders where not fixed until the Hartford treaty of 1650, but not ratified back in England. Indeed, England harboured the ambition to unify all the territories in the New World under one government. Namely theirs. 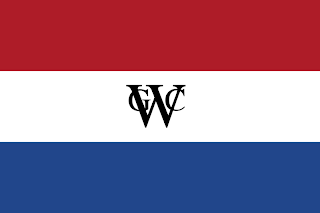 The treaty held until 1652, when war erupted between England and the Netherlands. 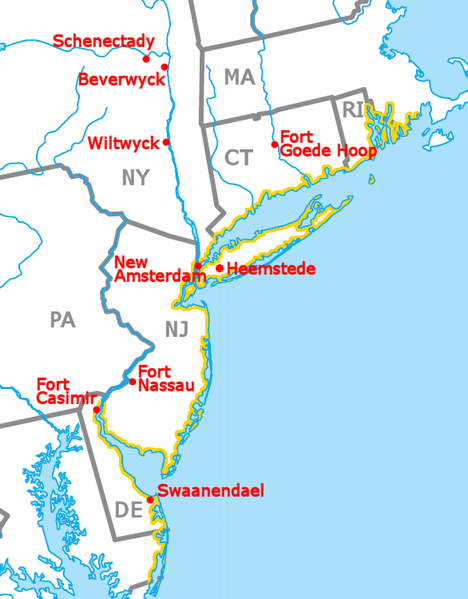 Conflict in the Americas rumbled on until 1664, when the Duke of York finally took control of all Dutch lands, and took control of New Amsterdam (todays New York). 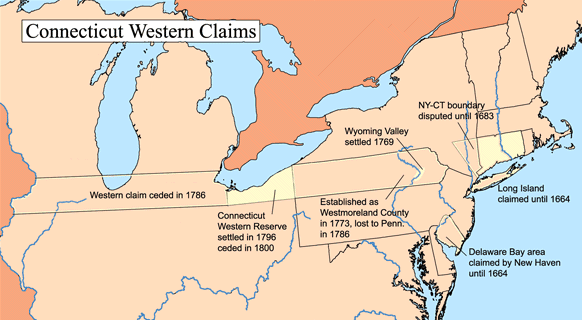 However, a lot of the lands where ceded back to the Federal Government post Revolutionary War in return for the Federal Government shouldering Connecticuts debts incurred during the war. 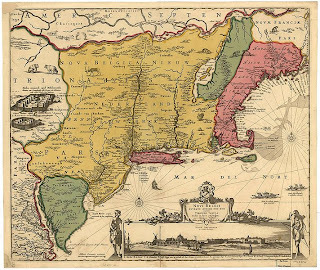 Connecticut did settle some of the lands it retain after handing over large portions of it, but finally surrendered control of all of these lands in 1800, taking the state down to the borders it has today. 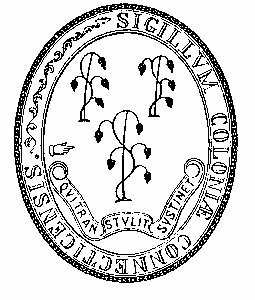 The first seal for the state arrived in 1639, and was initially the seal for the Saybrook Colony, but was handed over to the Connecticut colony when they purchased the land of Saybrook in 1644. On it where 15 grape vines. It remained the seal until 1687, when Sir Edmund Andros took control of the colony's government, and the seal vanished. 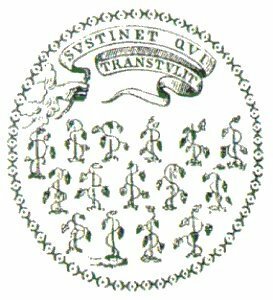 In 1711, a new seal was commissioned by the colony's government. This new seal reduced the number of vines to three. Possibly to represent the original 3 colonies. 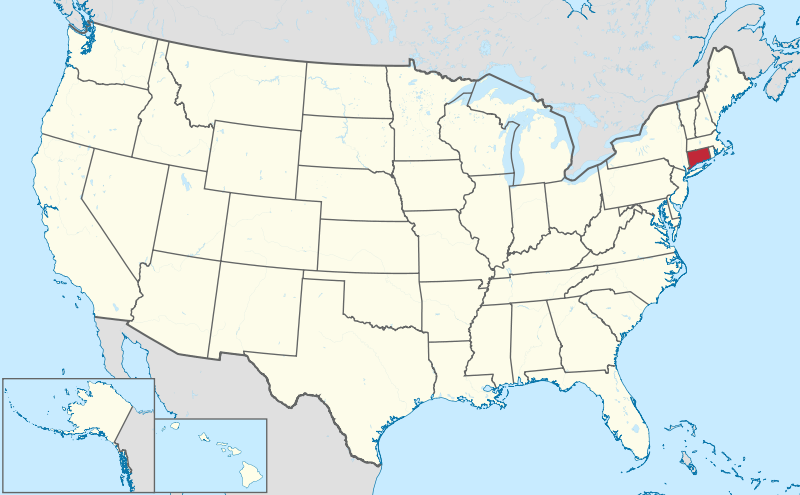 Connecticut, Saybrook, and New Haven. 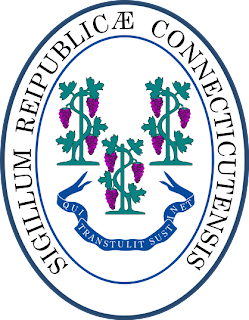 It kept the motto, but added the latin text, "Sigillum Colonae Connecticutensis" which translates to Seal of the Colony of Connecticut. It was also made more oval in shape. 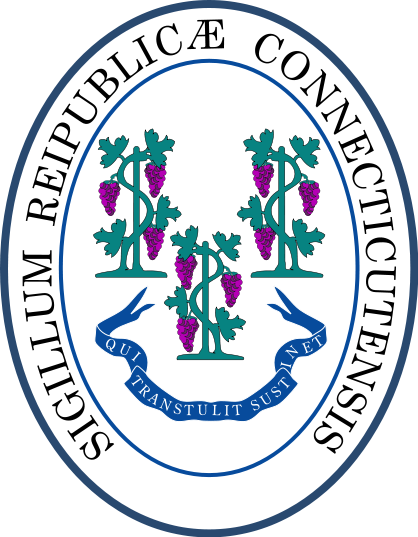 The seal underwent its final alteration to the seal seen today in 1784, when after the Revolutionary War, Connecticut was no longer a colony. So, the "Colonae" was removed, and replaced with "Reipublicae" or "Republic." The first flag to fly over the area was that of the Dutch, defaced as it was with the initials GWC. The initials of the sponsoring company for the first explorers. However, Connecticut did not have its own flag until 1895 (not in any hurry!) 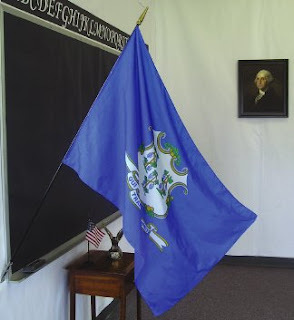 when a simple blue banner was defaced with a coat of arms inspired by the state seal. The three vines from the seal are placed in the centre of a shield in the baroque style. Meaning shaped with lots of curves. Below the shield is a ribbon carrying the state motto "Qui Transtulit Sustinet." Which translates to "He who is transplanted still sustains." The flag was formally adopted in 1897.